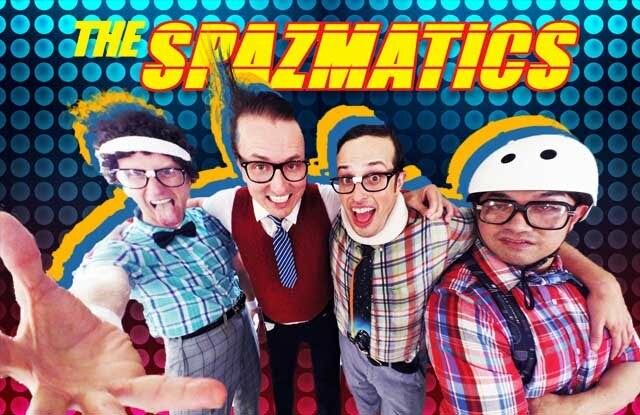 The Spazmatics 80s band at Eve's Waterfront - Apr 22nd. Eve's Waterfront in Oakland. Advance tickets are just $20 and proceeds will benefit PEAK. Order tickets online at EVESWATERFRONT.COM (must enter "PEAK" in Special Request Box section when ordering tickets online). 9:00 pm - 12:00 am (doors open at 8:00 pm). Eve's Waterfront is located at 15 Embarcadero West, Oakland CA :: 510.817.4477. Since 2011, the annual Walnut Creek Turkey Trot, sponsored by Forma Gym, has helped support Walnut Creek Schools. The 2016 Turkey Trot raised $15,000 for PEAK. Forma Gym presented PEAK with a check at their March meeting. MOD Pizza "Spreading MODness" Fundraiser a great success!! PEAK Awards Over $30,000 to Schools at 2014-2015 Stakeholders Meeting! At its 2015 annual Stakeholders Meeting in April, PEAK awarded $30,000 to its six member schools. The awards, which represented the results of fundraising throughout the 2014-2015 school year were presented to the principals and PFC/PTA presidents of each school. Awards to schools were given as a percentage of the number of students at each school. The Turkey Trot was a HUGE success this year, raising $20,000 for PEAK. There were over 5000 runners this year representing over 30 states. THANKS to both our volunteers and runners who came out early on Thanksgiving morning to participate. Thanks to the local businesses, and especially FORMA GYM, who sponsored this community event that is such a great fundraiser for our schools. Race results can be found online here. SAFEWAY DONATES $12,000 TO PEAK! A big THANK YOU to Safeway Corporation for their recent donation of $12,000 to PEAK in support of our schools. Through their donation, Safeway has demonstrated a commitment to being a community partner with PEAK in helping sustain quality education in our schools. Thank you to everyone who supported PEAK through Whole Foods Market's Community Giving Program on December 12, 2012. Thank you walkers, runners, and volunteers, for making the 2012 Turkey Trot possible! Race results can be found online here. Thanks to everyone who volunteered and/or participated in the 19th annual Turkey Trot! We raised over $30,000 from this event. For more information on the Turkey Trot, please visit this site. Thanks to all that supported this special PEAK Shopping Weekend! Not only did people receive 10% off their purchase but an additional 10% was donated back to PEAK. Thanks to those that joined the Walnut Festival 5K Run on Saturday, September 9th. Again this year the Walnut Festival Foundation donated proceeds from the race to our local schools. The Fall Downtown Wine Walk benefited PEAK. The Downtown Business Association's Fall Wine Walk featured wine tastings in downtown shops, restaurants and businesses, live acoustic musicians playing on local plazas and sidewalks, and fun prize drawings. PEAK Awards Over $48,000 to Schools at 2013 Stakeholders Meeting for 2013!